Sarah will be returning to Bryn Mawr College on March 16th for 'An Evening with Sarah Jones'. You can find more information about Sarah and the performance by visiting the Bryn Mawr College Website. On Tuesday, January 24th, Sarah will be performing at University of California Santa Barbara as part of their Michael Douglas Lecture Series for the 2016-2017 Season. You can purchase tickets to her public performance on Tuesday evening, by clicking here while they last! This past Saturday, January 21st 2017, Sarah and a few of her characters joined countless others in the nation's capitol (and around the world) for the Women's March on Washington. Click here to learn why they joined efforts to build this march into the movement we need. In Case You Missed It! You can watch the 5 hour rally from the January 21st DC march, online here. Sarah's performance for the National Domestic Worker's Alliance's Women's Town Hall & Reception can be viewed here. You can also find the panel discussions and host committees calls to action from the NDWA's Women's Town Hall & Reception on youtube here. Sarah will be joining everyone in Washington DC this Saturday, January 21st at the Women's March on Washington. She will be marching alongside amazing women (& the men who stand with them) in the fight for light, love, and equality. That evening, Sarah Jones will also be performing at the Where We Go From Here: Women's Town Hall & Reception at the National Press Club. Get your tickets at the Eventbrite link above and help keep up the momentum of this movement. In Case You Missed It! Sarah's performance for the National Domestic Worker's Alliance's Women's Town Hall & Reception can be viewed here. You can also find the panels and host committees calls to action on youtube here. Sarah had a fantastic time sitting down with Helga Davis on her podcast Helga. You can listen in on their conversation here as they 'talk self-worth and self-love in a culture that teaches self-alienation'. In case you missed it! 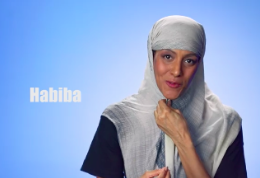 Check out Sarah Jones on Late Night with Seth Meyers! From September 27-December 3rd, Sarah performed her newest one-woman show, Sell/Buy/Date at Manhattan Theatre Club's Stage II at New York City Center in NYC. 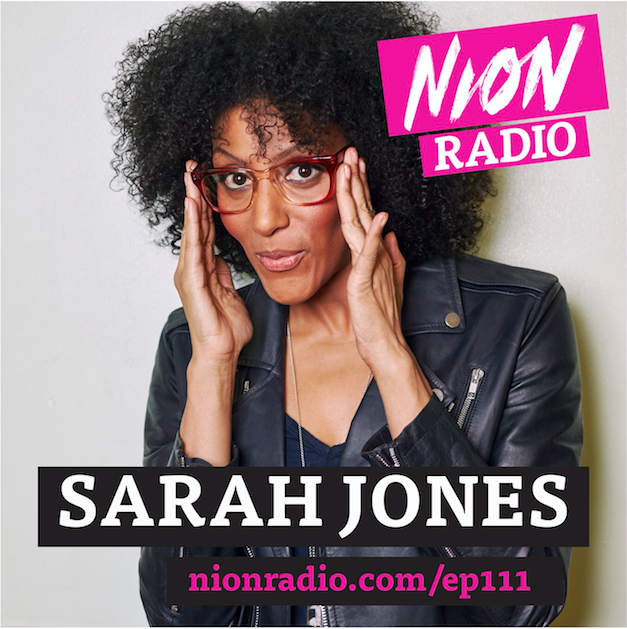 You can stay tuned into Sarah Jones' next steps and performances by checking the website regularly, subscribing to the newsletter, or by following Sarah Jones on social media (@jonesarah on Twitter and @xosarahjones on Facebook and Instagram). Thanks everyone for an AH-mazing, sold-out run of Sell/BuyDate at New York Live Arts. Lots more great engagements coming up in the next couple of months starting off with performances in California. ** Off Center Festival ------------------------------------------------------------ Sell/Buy/Date will have a three-day run as part of the "Off Center Festival" at California from January 28-30th at 7:30pm. Ticket info can be found HERE. ** House of Speakeasy ------------------------------------------------------------ I'm thrilled to be part of the the 2016 Gala Event at the House of Speakeasy on February 1st hosted by Salman Rushdie. I'll be joined that evening by Erik Larson, Kurt Anderson, Irvine Welsh and Garry Kasparov. ** Ghetto Film Schools: The Roster ------------------------------------------------------------ On February 3rd I'll be part of The Roster, presented by Ghetto Film School and hosted at the Museum of the Moving Image. The event includes curated art from Paola Mendoza and Michael Skolnik. More information can be found HERE . ** Manhattan Theatre Club presents: Sell/Buy/Date ------------------------------------------------------------ The premiere of my show goes into previews on September 27th at Manhattan Theatre Club! So thrilled to be part of their 2016-17 Season. The show officially opens on October 18th. Visit MTC for more information. Hi Everyone, hope your 2016 is off to a great start, and we can't wait to celebrate it with you at an upcoming Sell/Buy/Date show starting this Wednesday, January 6. Tickets are going fast, get yours here! We’re also excited to announce a fantastic lineup of guests who will join Sarah in talk-backs after select shows! And if you aren't able to join us but want to spread the word on social media, please use the hashtag #sellbuydate and find Sarah at @jonesarah on Twitter and @xosarahjones on Instagram and Facebook. Looking forward to seeing you all at New York Live Arts, and meantime Happy 2016!